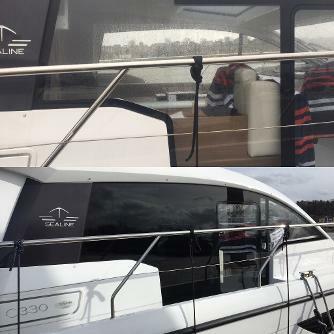 When it comes to window tinting in the marine industry, Stealth Tints are by far the UK leading suppliers and installers of window film. Using the highest quality material backed up with a manufacturers warranty there really is only one place to go when it comes to tinting your investment. Trusted by some of the most popular UK boat manufacturers, including Sealine, you can see some of our work which will be exhibited at the London Boat Show in January 2018 at Excel.